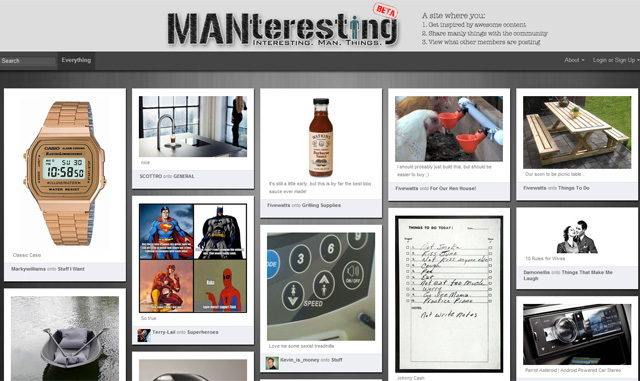 MANteresting is a social bookmarking website geared to men. With it, you don’t “pin” things like with Pinterest (which is, according to Ignite Social Media stats, dominated by women), you “nail” them. The first image bookmarking site created by men, for men. If you see something awesome on the internet (facebook, reddit, imgur, etc) MANteresting gives you a convenient way to categorize and bookmark that awesomeness so you can easily share it with your friends.